Ann grew up in Wallington, Surrey; she studied Sports Science in Edinburgh before pursuing a career as a civil servant for eight years, mostly in London. In 2009 Ann began to sense and follow God’s call towards ordained ministry. She resigned from her job in 2010 and moved to Ripon College Cuddesdon, Oxford, to complete her theological training. After this she returned to Southwark Diocese for ordination in 2013 and served her curacy in Barnes before becoming the Vicar of Holy Trinity Northwood. Ann loves to spend time outdoors, in the garden, walking through woods, or hiking in the mountains. We have come to Holy Trinity ever since we moved to Northwood in 1971 – our two daughters were small then, and now we have four grandchildren. I have been a Reader here since 1992 (in the first eight of these years looking after Reader Training in our Area as well). As a 'cradle Christian' I've been part of a number of churches, & my Reader job took me to lots more different ones - I found good ways to God among them all. I do value both the breadth & the community of Holy Trinity. Among other things I am currently our Children’s Advocate. I have worshipped at Holy Trinity for nearly 30 years. I have been a licensed Reader since 1990. I am indeed a very fortunate person, married to Ali, with two children, Sophie and Owen, living in Northwood for 30 years and in full time paid employment as an engineering technician at Brunel University. In 2010 we decided to move from our previous church and worship, as a family, here in Holy Trinity. We found a warm and inclusive community that is open to God and we were made very welcome. In 2011, the church encouraged me to apply to train as a Licensed Lay Minister and they then faithfully supported me and prayed for me through three years of study. It was my great privilege to be licensed in July 2013. It is now my great privilege to serve in this wonderful church, where I have learnt, and continue to learn, so much about God and how He is working in the lives of His people. I grew up in a Christian family and was a chorister and altar server. 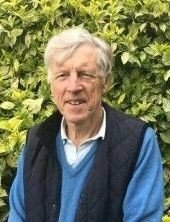 I became a ‘non-theological’ Associate of King’s College, London, in 1973 during my pre-clinical medical studies, and have recently retired from active clinical practice. I remain involved with training and supervision of doctors under the recent GMC Medical Revalidation program. I regularly prepare Intercessions for the 10.00am Sunday Parish Communion Service. I was elected onto the PCC in 2007 and chair the Premises Committee. I was part of the group which put together the Mission Action Plan in 2008 and recently led on the process of updating this in line with the London Diocese’s Capital Vision 2020. On Sundays you will find me worshipping either in the church at the 10.00am Parish Communion service or in the Church Hall on alternate Sundays where I continue to support the Family Service and the Encounter Service music bands. I first attended Holy Trinity as a boy when our family moved down from Edinburgh in 1958. Members of my family have attended Holy Trinity ever since. My wife, Hazel (who currently is a Deputy Warden) and I moved back to Northwood in 1986, since when we have been regular attendees at Holy Trinity, including our three daughters, one of whom, Fiona, got married at Holy Trinity in 2013. I was first appointed to the PCC in 2009, and as a chartered accountant currently sit on the Finance Committee, and also on the Premises Committee (as well as being one the churchyard gardeners). Vanessa joined the staff at Holy Trinity in January 2016. She is married with a teenage daughter and worships with her family at another local church. Vanessa enjoys administration and is looking forward to getting to know the congregation at Holy Trinity. She also enjoys travel and speaking French and Italian.